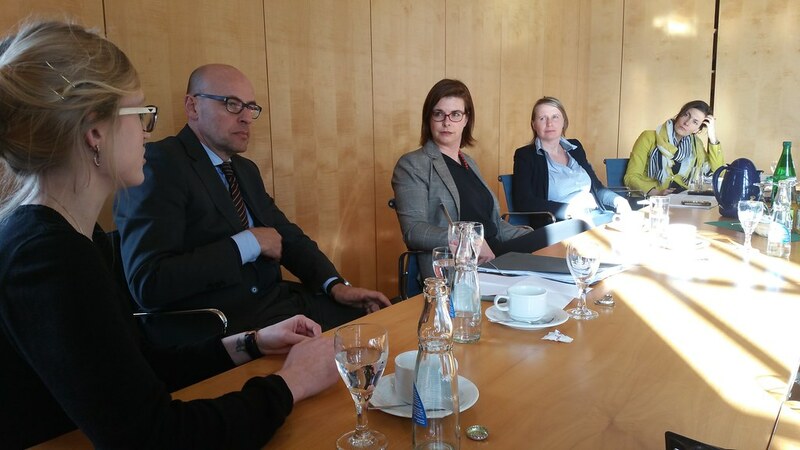 After the discussion and lunch with Dr. Fritz Jaeckel, Chief of State Chancellery and State Minister for Federal and European Affairs, Annegret Schlurecke and Dr. Eva Sturm from the NGO DRESDEN – Place to be! 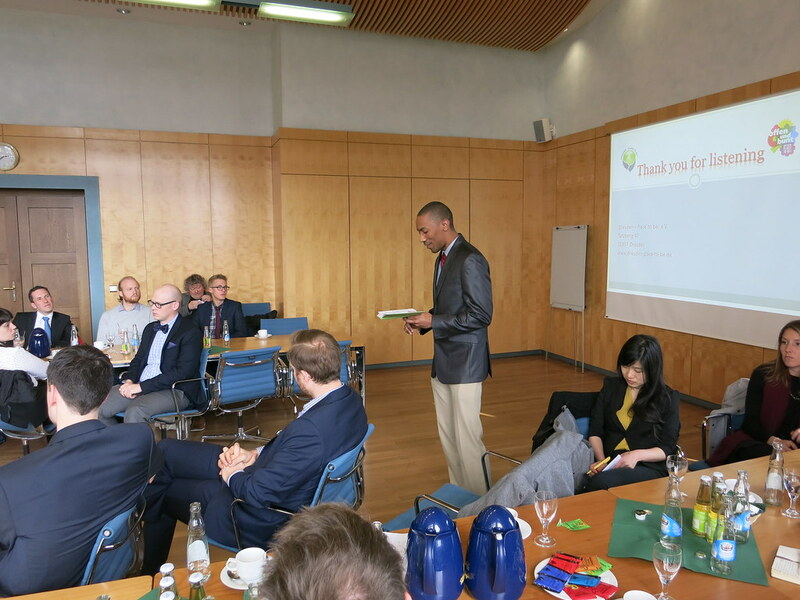 e. V.“ joined the group in the State Chancellory and presented their NGO’s work to enhance the welcome culture and the reputation of Dresden in world. 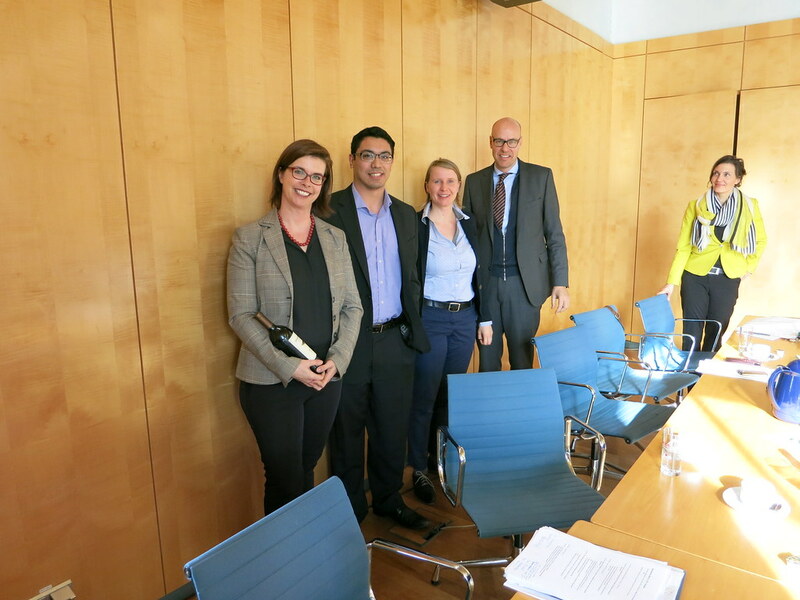 They also took the time to discuss the Fellows’ ideas on migration and respond to questions. 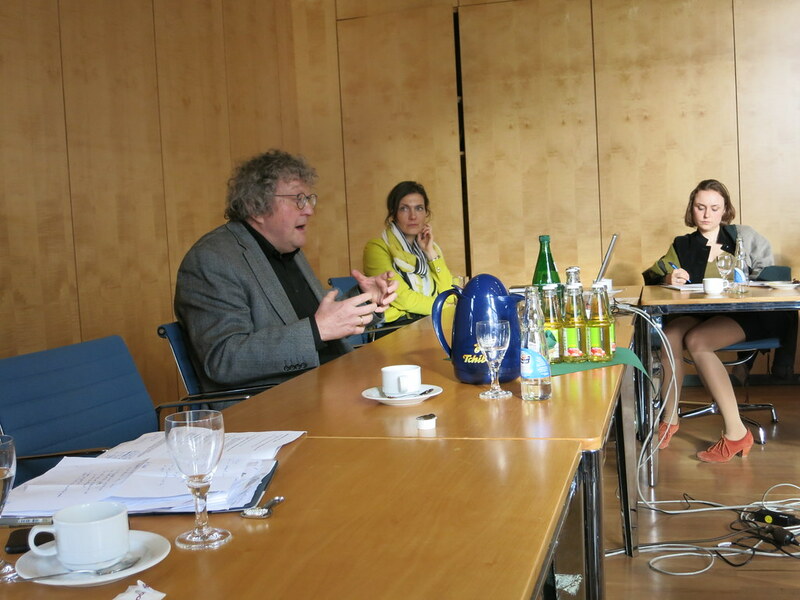 Afterwards Professor Dr. Werner Patzelt from the Technical University of Dresden met with the Fellows to discuss the challenge of populism. The non-profit organization Dresden – place to be welcomes foreigners who come to Dresden – in earlier days due to work migration in scientific contexts, nowadays mostly in reaction to the refugee movement that arrived in Germany in 2015. Our two guests, Annegret Schlurecke and Eva Sturm, outlined that the anti-islamic, xenophobic movement “Pegida” was a “shocking moment” for them. As a counter reaction to the Pegida demonstrations against refugees that counted up to 20.000 people the association wanted to promote an open-minded welcoming culture. As Annegret Schlurecke puts it, in the black and white discourse surrounding the so-called “refugee-crisis” they tend to represent the colorful in between. Their main aims, Annegret Schlurecke explains, was to help people understand each other and to make Dresden an intercultural place attractive to foreigners. To archive this goal, they organized several events, such as an intercultural picnic, a charity run, a conference, concerts and online campaigns. 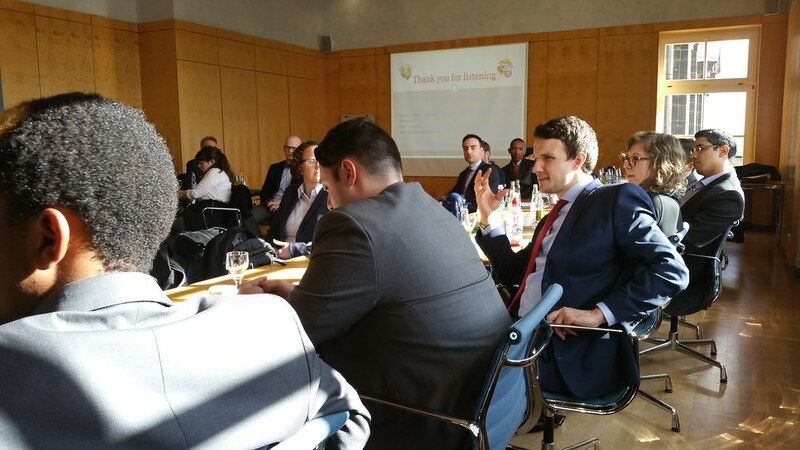 In the discussion, the first question that was brought up targeted their financial and organizational cooperation with the governmental bodies. 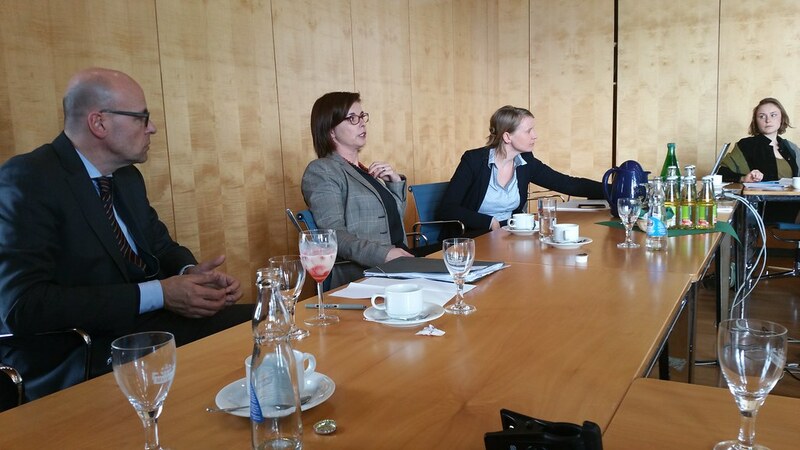 Annegret Schlurecke explained that they are a completely non-governmental association cooperating with different NGOs. Another fellow posed the question to which degree a foreign culture has to be respected. This is a difficult democratic question, they replied, that has to be addressed from case to case. In their work with Dresden – place to be they dealt with it according to the general assumption that we should be open for other cultures’ lifestyles as long as they respect our values; which, in practice, is difficult to define. Another fellow brought up the problem that refugees very often have wrong expectations when they are coming and feel culturally disconnected in Germany. 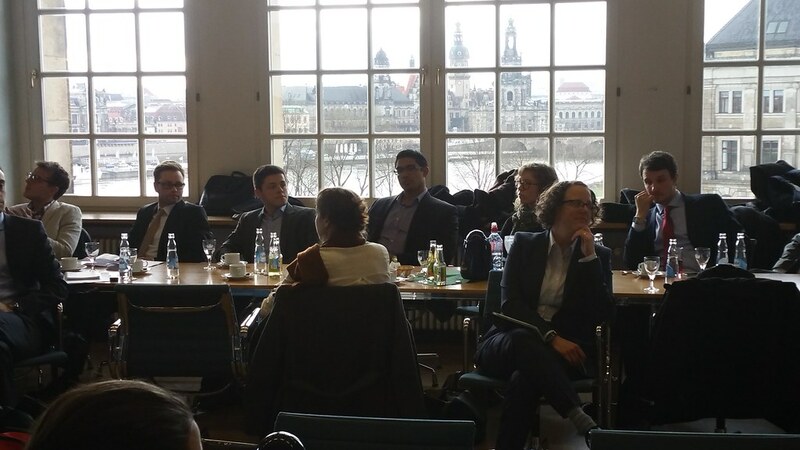 This mutual intercultural understanding is what Dresden – place to be aims to strengthen in their work. When Michael presented the memo on populism, the associations’ representatives agreed with the suggestions made by the working group and added the point that there is always a gap between the government and the NGOs that has to be bridged. They see their role and also their chance in implementing power on the ground. Written by Nora Schröder, who is a PhD candidate currently working at the department of peace and conflict studies at the University of Augsburg. Her research interests include the construction of political identity on a supranational level, especially through European political participation and active European citizenship. 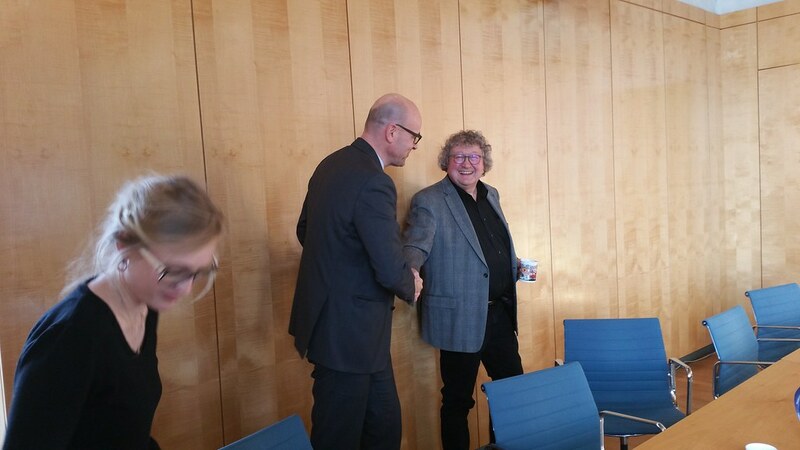 After the conversation with Ms Schlurecke and Dr. Sturm from Dresden Place to be, Prof. Dr. Werner Patzelt from the Technical University of Dresden joined the fellows in the State Chancellery of Saxony to discuss the current challenge of populism. Prof. Patzelt started by giving a brief definition of populism consisting of three elements: first, populism is not an ideology, but rather a political style that pits “the people” against “the elites”; second, based on that initial confrontation, the populist purports to know what “the true will” of the people is and to give expression to that will; third, for populism to grain traction, it needs a “condottiere”, an ambitious political leader who serves his self-interest by steering the masses. Why now does populism occur? Is it due to human stupidity?, Prof. Patzelt asked mischievously, alluding to Joseph Schumpeter’s verdict that intelligence seems to decrease when it comes to politics. While not entirely wrong, though, this answer is hardly far-reaching. The real reason for populism, according to Prof. Patzelt, lies in a “gap of representation” in the political spectrum. The distribution of political attitudes in the population is not adequately reflected in the political offerings of representatives. Largely optimistic views on refugees prevailing in the political class are out of joint with the less optimistic sentiment in the population, often labeled as xenophobic. In other words: owing to political correctness, an empty political space has opened up between both spheres – an invitation for populist political newcomers to enter the stage, claiming to give the people back their voice. 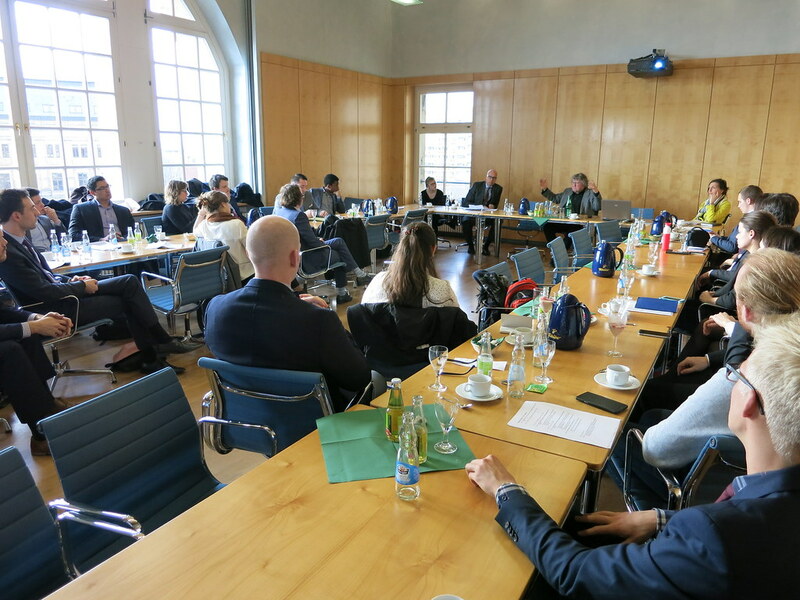 In the ensuing Q&A session the fellows debated with Prof. Patzelt how the gap of representation could be diminished without granting permission to extreme, antidemocratic positions. It became clear that the line is not an easy one to draw: who gets to decide on what’s acceptable and what views can legitimately be held are questions to be tackled in an open public discourse. Such a discourse would need to navigate between the policing forces of political correctness on the one hand and the transgressions of free speech on the other. Hateful resentment would have to be called out and sanctioned. The Q&A further included insightful feedback from Prof. Patzelt on concrete policy suggestions against populism put forth by the fellows. Transatlantic exchange programs, he said, though expensive, would certainly be helpful to counter nationalistic positions, especially in the long run. He also saw great value in physical and online platforms to foster a comprehensive dialog between politicians and the population. Providing information is key to uphold an alternative to “alternative facts”, an antidote to the radical constructivism that sees reality as construed all the way through. This means to get out of the liberal feedback loop and engage. It means not to avoid the uncomfortable, noisy, ugly stuff we don’t like, but to become experts in it. What is required thus is real-world “short-distance struggle” as opposed to the idle “long-distance struggle” being waged out of the safe spaces of academia. The best recipe against populists, according to Prof. Patzelt, is to give them access to the political debate and to defeat them in front of a large public audience. Next to engagement, however, the defense of liberal democracy requires a sense of proportion. Prof. Patzelt cautioned against putting ever-more burdens on it, for instance regarding gender issues. A focus on more basic, universal topics is advisable for liberal society to remain relatable. Lutz-Peter Hennies is a former Fulbright student in New York City with an academic background in philosophy and economics. In addition, he gained work experience in management consulting.